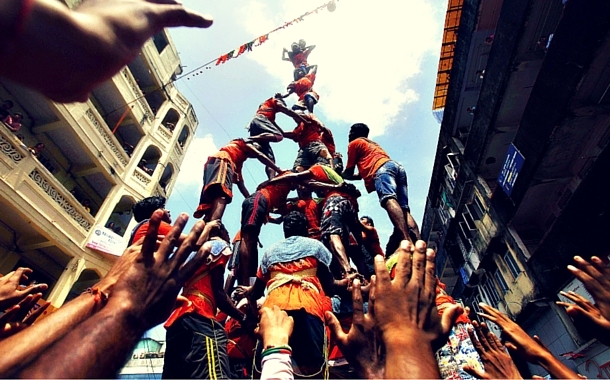 5 countries where Janmashtami is celebrated and we bet you didn't know! Remember the peppy song ‘Go Go Go Govinda’ from the movie OMG -Oh My God!? With Janmashtami approaching, you will see markets bustling with fragrant flowers and yummy sweets, vendors selling peacock feathers, households busy in the preparation of white butter or makhan and youngsters gearing up for Dahi Handi. With increasing number of Indians settling abroad, we bring you some of the places around the world where Janmashtami is celebrated with equal enthusiasm. So, get into the ‘Masti’/festive mood, book your flight tickets, charge your camera, pack your bags and set off on a journey to these exotic havens. Imagine yourself in New Zealand surrounded by snow-capped peaks overlooking turquoise lakes and rolling pasture lands, isn’t it alluring? Not just natural beauty, but you can experience spiritual bliss too by visiting the Sri Sri Radha Giridhari Temple in Auckland. During Janmashtami, at midnight, the temple glows with festive lights, prayers and devotional music followed by mouth-watering prasad. You will fall in love by the breathtaking Niagara Falls and Riding Mountain National Park in Canada. Janmashtami is a must-experience here, given the large number of Indians here. At the Richmond Hill Hindu temple, you can enjoy the musical concerts related to this festival. The sound of the conch and the lovely fragrance of flowers at the midnight hour will transport you to a different world altogether. Picture yourself savouring the popular Malaysian delicacy, Nasi lemak (creamy rice), whilst absorbing the mesmerising beauty of its beaches, sounds interesting right? Take one step ahead and be a part of the grand Janmashtami celebrations held in the temples of Kuala Lumpur. You will have a lovely time experiencing the dramas and dances organised by the Indian communities here. Do relish the toothsome sweetmeats distributed as ‘prasads’.Get into action and choose from our Malaysia tour packages and visit Malaysia to believe it. A Mecca for shopaholics and party-lovers, Singapore is tempting, don’t you agree? 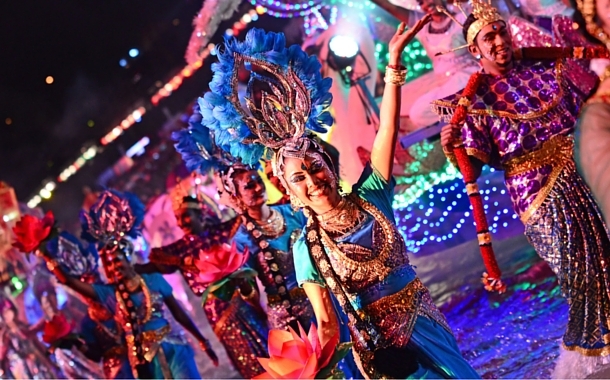 With your Singapore visa, you can enjoy the Night Safari, Sentosa Island, Merlion Park, and visit Little India to create one of your best Janmashtami memories. When you see vibrant markets flooded with sweets, attractive decorations and loads of energy, then you know you are in Little India. To witness Janmashtami, a visit to the Shree Lakshminarayan temple will reward you with interesting cultural programmes. Talking about festivals, how can we forget Paris, the City of Light? At this city of love and light, you can click a selfie at the Eiffel Tower and attain communion with the Almighty during Janmashtami. Visit the Sri Sri Radha Parisisvara Temple in Paris, watch people fasting and singing melodious songs adding magic to the overall festive ambience. Experience our beautiful culture and festive celebrations outside India and do share your experiences in the comment box below.